No matter how hard you try to hide from it, one day you will need to learn at least a part of the poem (or any other text, it can be some prose or a part of presentation or speech) by heart and present it. 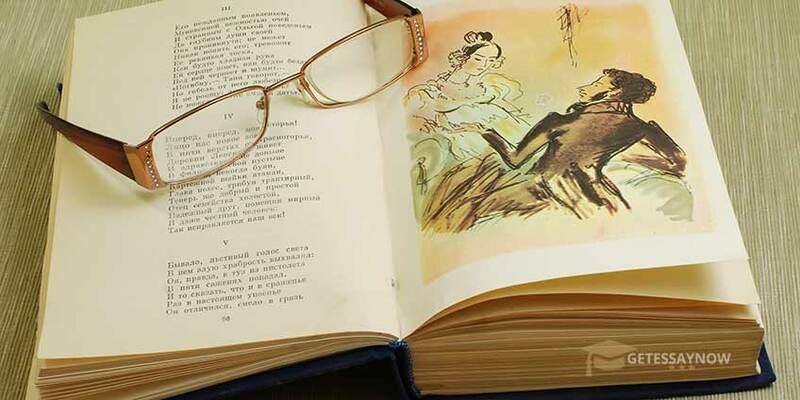 To be honest, learning poems is a good way to train your memory, and there are quite a few tips on how to do it successfully. Following method is considered to be classical. It helps to learn poems for the long time which will be useful in future, for example for writing an essay. You should start to learn a poem in advance, when you have 2-3 days as a reserve. At the beginning read the poem aloud. It is desirable to do so for several times. Using your imagination paint a picture of the events which are described in the poem. There is a plot in each poem, even in those describing landscape. If you can draw, then making a sketch will be a good thing to do. Single out the main characters of the poem. Sympathize the feelings which an author wants to awake. Rewrite the poem. This is how you will use one more type of memorizing. Read the poem aloud one more time. This time read it slowly, imaging all the characters and events, paying attention to the words, their form and tense. Now we are moving direct to learning. Read the first line several times and memorize it. After that add the second line and memorize two in a row. This is how you will learn the poem step by step just by adding one line each time. Write a crib with all the first words of every line. There are moments when you urgently need to learn a poem. Of course you will not be able to make it in five minutes if your memory is not trained well. Nevertheless, it is possible to learn certain rhymed lines during a relatively short period of time. Use all types of memory simultaneously. Read the poem aloud for several times, rewrite it, record it on dictaphone and listen to it until you get bored. This method works even if you need to learn a poem in another language which you do not understand. Divide the poem into cycles of two lines and learn them in turns. Repeat the lines which you have memorized after short periods of time. It does not matter if you skip certain lines. You will fill the gaps later when you read it one more time. Keep on doing so until you learn the poem. Every poem, and especially a big one, should be learned before going to sleep. Read the poem aloud for several times. The more the better. Write down first words of every line. Now try to retell the poem. Gradually remove all the helping words. For example, at the beginning leave only first words of each second line, then each fourth and so on. Learn aloud! Not whispering, not in head, not muttering, but learning aloud, loud and with intonation will get you far in your attempts. Do not try to learn the poem all at once. It is preferable to learn it line by line and repeat each time you add another one. Do not brake yourself just to remember one word or one line by yourself. Such pauses disturb you. It is better to look for the needed word immediately in order to not stop you reciting. Rated 4.4 | 164 votes.